Before you should install any water feature in the landscape, it is essential for you to analyze the purpose behind the installation. For instance, you may install water feature to drown out the traffic noise or simply you like the structure of various aquatic plants. Regardless the reason to construct a water feature, your project should be of well designed, so that it stays within your budget and retains a unified theme in the landscape design. Available Space and elevations in order to the create the perfect Landscape Environment. Water feature may overpower your landscape design easily or simply become an afterthought. In this situation, you should select a feature, which not only gives you enjoyment, but also provides enough space to entertain the guests and to work in the garden, making well planned and design landscape elevations in your landscape critical. 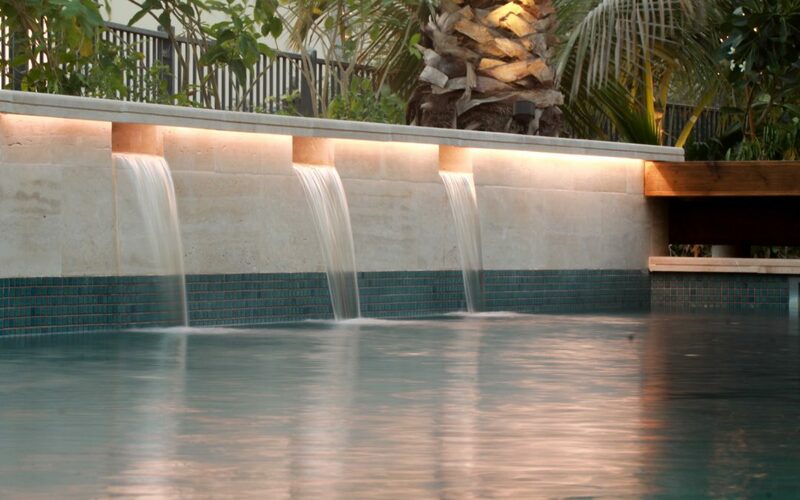 Moreover, you may modify or customize any custom build water feature depending on your requirement. The best thing about custom build water features is that it works well in both limited and big landscaping spaces. You will find unlimited numbers of water fountain designs for water and pond features. A major benefit associated with water fountain is that it does not require shooting of water in upward direction. Instead, the water may easily flow out of or over the walls, move out from decorative faucets and spill out of the rocky areas in a gently manner. According to Asian inspiration, designers make water feature installed in your landscape as its central attraction. For this, they create a big pond at the landscape’s center and surround it by the help of decks. Moreover, to enhance the interest, you may include big size of stepping stones and aquatic plants. Irrespective the specific type of water feature you install in your landscape, you have to focus on its maintenance to maintain its pristine level. For this, you should regularly approach landscaping professionals, who possess expertise in applying different techniques to deal with few of the common maintenance problems.